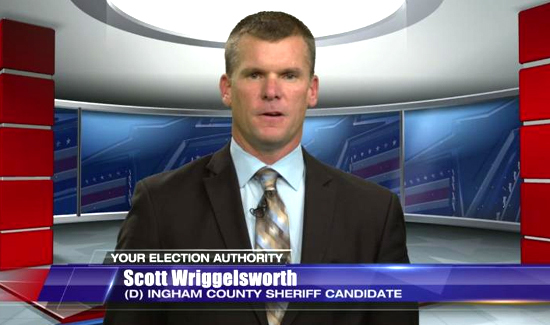 Evidence issues at the Ingham County Sheriff Department that persisted for at least 10 years and led to the dismissal of 79 cases represented a “colossal failure in leadership,” Sheriff Scott Wriggelsworth told a group of county commissioners Thursday. Wriggelsworth answered questions from commissioners alongside Prosecutor Carol Siemon, Chief Assistant Prosecutor Lisa McCormick and special assistant prosecutor Catherine Emerson. Siemon said her office and the sheriff department have worked together to get to the bottom of the issue. Both Wriggelsworth and Siemon took office on Jan. 1, a few months after a September State Journal article revealed longstanding problems in the sheriff department’s evidence room and a failure to notify the prosecutor’s office and county officials of those problems. Wriggelsworth’s father, Gene, who was sheriff for nearly three decades until his son was took office in January, attended the meeting but did not speak, and was not addressed by commissioners. Can’t Afford Body Cams or Storage? Problem Solved!